A jobseeker’s journey can be a long winding road with numerous hurdles and many ups and downs. Some people head into job seeking blindly, thinking that it’s just a matter of applying for X job with your CV, to land a dream job. If only things were this easy, the job seeking market is more competitive than ever so standing out from the crowd is key. 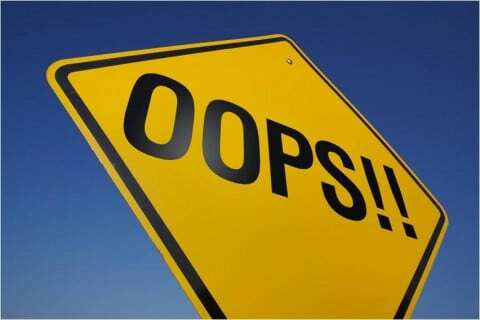 With so much to consider it is easy to slip up on many common jobseeker mistakes. However, by correcting a few of these, you will be one step closer to finding your next role. Your CV is without a doubt the most useful tool you have as a jobseeker, so why use the same generic CV for every job you apply for. There are a million and one CV templates out there but it is imperative to remember that each job you apply for requires some edits to your CV. Focus on the job you are applying for, what does the job spec say? Perhaps you are applying for Marketing Manager roles, each company will have a slightly different perspective on what the role entails. No company operates the same and each sector is different so applying your CV and Cover Letter specifically to the job spec will help you stand out from the crowd. Networking is a marathon rather than a sprint, and it should be something every jobseeker becomes involved in. Networking isn’t about asking for jobs or being heard, rather, it is about listening and engaging with the right people. As the job market is becoming increasing digital, it is easy to forget that getting out and meeting people within your sector can and will help you find a job. Going to events, job fairs or perhaps just meeting an old colleague for lunch. Getting yourself out there can be the most beneficial action you take on your job hunt. Applying for the wrong roles is sometimes not as obvious as a Plumber applying for a Carpenters role, however, the clue is in the job detail. You may see the job title and think, yes, that is my current job title. However, job titles have many different meanings depending on the sector and experience required. It’s important to ask yourself, what are my top 5 skills and how do these skills relate to the job spec you are viewing. If a job requires at least six years’ experience in your chosen area and you have three, then perhaps you aren’t searching for jobs which are currently within your ball park. This can work both ways, a lot of jobseekers don’t know their value and underestimate their skill set. Understanding your abilities and what you can bring to a new role is key when searching for a new job. Just like everything else in life there is a job specialist out there, to help you find your ideal role. So, what are these helpful individuals called, Recruiters or Career Consultants. Sending your CV into a recruitment agency can be beneficial to your efforts. It is also worth speaking to a career couch if you are stuck in a rut and need some advice with your next career move. 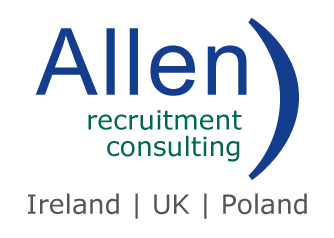 Recruitment Agencies like Allen Recruitment, can serve as both Recruiters and Consultants. We aim to get back to every job seeker regarding their application and help find suitable jobs for our candidates. Working with some of the leading multinational companies, we can introduce job seekers to jobs they won’t find anywhere else. Whether it’s a networking lunch, a phone call with a recruiter or career coach or perhaps you have sent in your CV to a company. It is imperative to follow up on all your actions. In terms of networking, maybe it’s just an email or LinkedIn message thanking the person for their time and help with your queries. When it comes to a Recruiter who said they may have suitable jobs for you, why not give them a call each month, in case something has come up in your area. In addition to all the above, it might be helpful to ring the HR department of a company and ask that they received your CV you have just sent. Furthermore, why not express your keen enthusiasm for the company and role you applied for, when you have this individual on the phone. Need help with your next career move? Check out our open roles on Allen Recruitment’s site or contact a member of our team with any questions you have!